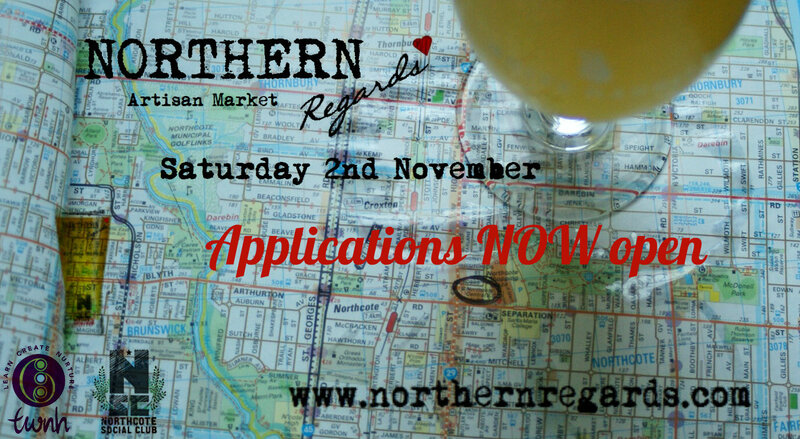 Applications for our November 2nd Northern Regards Artisan Market are now open. Please see the applications tab above to apply. Image | This entry was posted in Uncategorized and tagged applications, artisan, craft, Northcote Social Club, northern regards, November. Bookmark the permalink.